Unlike many companies (and I'm sure you can name some) First Watt is grateful to the early adopters who took a leap of faith and bought either an F1 or F2 amplifier. As First Watt moves into its twelfth year, this is how we thank those people: The F1J and the F2J update. This page is about the F1J (there is another about the F2J). Most of what you might want to know about the F1J amplifier can be found in the documentation of the F1 power amplifier. As you may already know, the F1 is an active current source amplifier which offers unique characteristics, particularly to sensitive full/wide range loudspeaker drivers. I recommend downloading the owner manual for the F1 and the articles on current source amplification. You may notice that the F1J also has approximately 1.5 dB more gain. 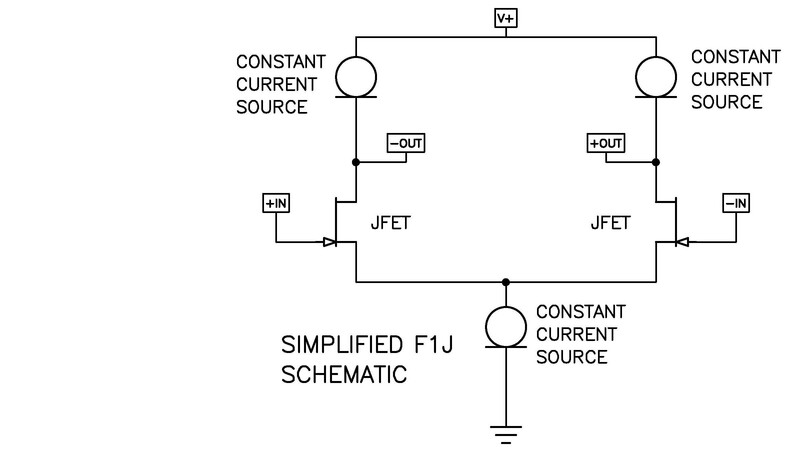 This is because the Jfets have a higher transconductance figure that the original Mosfets. There is another factor as well, which is that the F1J has a lower input impedance than the F1- approximately 30 Kohm balanced and 15 Kohm single-ended. The modifications that help achieve this bandwidth take advantage of lower impedances, so the F1J is recommended for use with preamps with ordinary to low output resistance – tube preamps without cathode followers will work but will not reap as much benefit at high frequencies. This caveat aside, the F1J delivers a dramatic improvement in current-source amplification. I have often ventured the opinion that improvements in measured performance in simple Class A circuits (particularly with no feedback) usually have the best correlation between what you measure and what you hear, and the F1J bears this out. I think it sounds about twice as good, and I feel certain that you will experience the same remarkable improvements.